In part 1 of this episode, we discuss how and why to form a trach team in your facility. 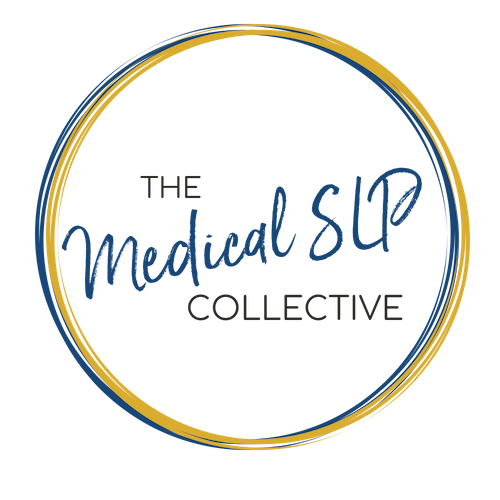 We discuss challenges that SLPs face when dealing with trach patients, the benefits of forming a trach team, and the SLPs role in improving speech and swallowing in these patients with tracheostomies. Today’s guest is Carmin Bartow, M.S., CCC-SLP, BCS-S, She is currently employed at Vanderbilt University Medical Center specializing in dysphagia management, trach vent intervention, and in head and neck cancer. She is a member of the VUMC Tracheostomy Consult Service. In addition to her clinical responsibilities, she facilitates a head and neck cancer support group, and recently taught Dysphagia as an adjunct instructor at Tennessee State University. 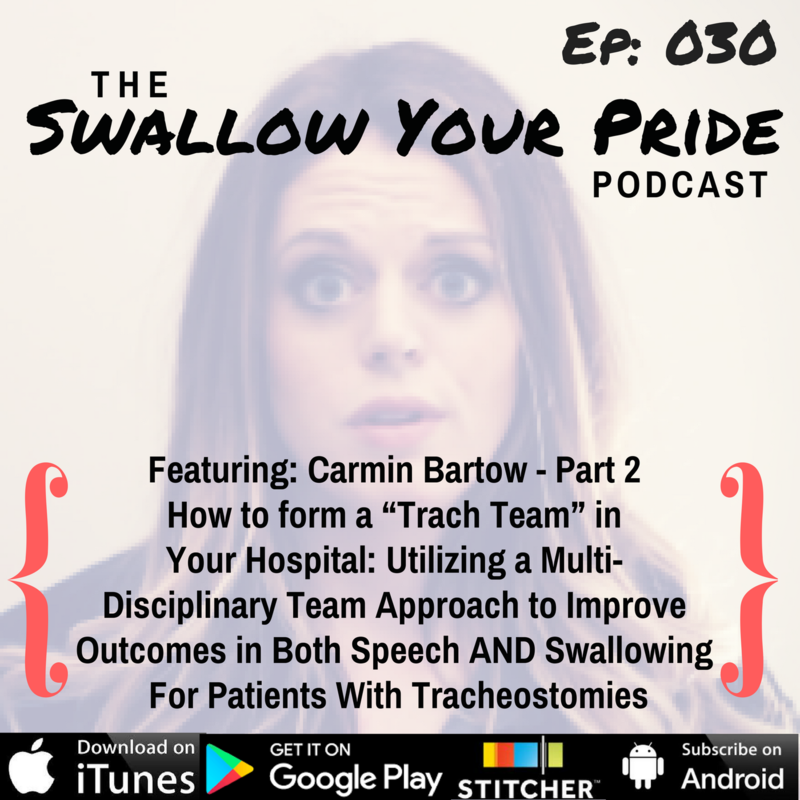 Carmin put together a great outline of how to form a trach team, as well as several helpful references available below.